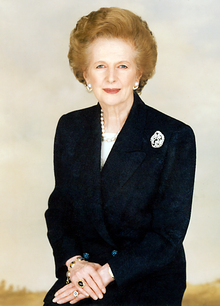 I've often had somewhat of an admiration for the Iron Lady, Margaret Thatcher, who died today. In 1980 and 1981 I hated her. I was definitely on the side of the Hunger Strikers in Northern Ireland during what was a very turbulent period on this island. Mrs T stood up to the IRA and Sinn Féin with a single mindedness that drove us all mad. How could she let 10 men die on hunger strike? She kept repeating the old mantra that they were terrorists, and that she would not give in. On the 8th of August 1981, IRA man Thomas McElwee died on hunger strike after 62 days. At that time I was mad as hell at Maggie Thatcher, and I signed a book of condolence for McElwee outside the GPO in Dublin. It was difficult at the time not to take sides in this divisive campaign between Irish Republicans and the British Prime Minister - and I sided with the Irish. She was that type of person - you either loved her or hated her. In 1982 she showed her mettle again when leading Britain to victory in the Falklands War, and I grudgingly admired her resolve. Winning three general elections was also a feat achieved by very few UK Prime Ministers. Even today on Sky News there were people who praised her achievements, but also remembered her as a divisive person, none more so than the coal miners whom she ground down after a long and bitter campaign. We educators should also remember that Mrs Thatcher was Education Secretary from 1970 until 1974, and did valuable work in building the school comprehensive system in the UK. But here she will be remembered most for abolishing free milk for children aged 7 to 11. Many people in the UK will be sad today at her passing, and we must respect that. Others will be glad that she is gone, but at the same time not take much satisfaction at the death of an old woman at the age of 87. Even in death, Mrs T continues to divide. Time to let her rest in peace.